Goals for a better Home: In this area I struggle with goals that involve others. That doesn’t mean they shouldn’t be done but they just may require a bit more effort, and probably should be discussed together before making them so they are family goals and not just my own. I did accomplished my last minute add of Running. I made it 4 times last week, and was happy I went each time and the Lent studies are making progress. As always New Goals, comments, and excuses are in purple below. 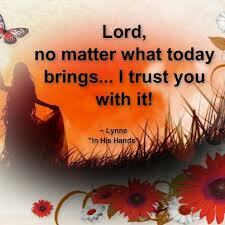 Daily: Start and end each day with prayer. Read two chapters in the Bible. I started reading 2 chapters a day last fall. I read some days from the Old testament some from the New. I have been given check lists before that jumped around, but they didn’t seem to work for me so I am reading the old fashion way from front to back of each. I have 3 books in each complete. This has lasted longer and I am farther than I have been before. Weekly: Read one article from the Leaven Newspaper and one chapter in Reasons to Believe I will keep this until we start my book for lent. Run 5 days. Daily: No computer 6:30-8:00am and 3:00-5:00(after everyone is home) THIS WORKS WELL FOR ME! Weekly: Limit volunteering for the soccer league this week. Sometimes you can get too wrapped up in things and spend more time than needed and sometimes you have to Say NO! Monthly: Plan a NO Electronics evening for the family. ONLY 4 days left YIKES! Daily/Weekly (these seemed to go together): Give my family a proper send off and welcome home each day. Focused one on one time with each kid and my husband every day! Bible before bedtime prayers. I did not do as well at this last week. Monthly: Plan a study for the family for Lent. READY! Challenges this week in Goals for a better House: The house gave me three main challenges this week. 1. A clean house at bedtime continues to be my most challenging check point; I will keep working on this it will come with time. 2. I found myself going to the computer many times to check my goal lists. I needed my lists to remind me what needed to be done, “Out of sight, out of mind”. I also like to cross things off; it adds a sense of accomplishment. I’ve been known to add something just to cross it off. So I finally finished my refrigerator cheat sheets for chores and tasks. I really think this will help me to have them hanging in front of my face! Maybe the kids will even get involved with checking some of them off. I noticed that after one week of making my kids beds in the morning, my oldest daughter made hers both days this weekend without being asked! That is progress. 3. Cleaning day still was not much of a success. I think I was a little over ambitious on what I could accomplish on Fridays. So I have broken my cleaning down strategically throughout the week. Less going up and down the stairs, Ha Ha! For those who are better housekeepers, no laughing. I started with a schedule that would meet Martha Stewart’s standards, but quickly realized that was not realistic. So some chores are given only bi-monthly or monthly time slots trust me for this mom if I accomplish everything on this cleaning schedule it will be a vast improvement in my house. Below is what I came up with and printed. You are welcome to download and adjust these to fit your house and life. I actually wrote this over the weekend, but didn't finish it until this morning. I still left it in Saturdays context, as it made more since that way! My Focus goals for January 21-25 are at the bottom. This morning I prayed for focus, as I do many mornings, but this time I also asked God to help me to not let myself off the hook so easy. While drinking my coffee I decided I’d read a couple chapters in the bible. I am reading the book of Numbers, if you have read it before it is easy to let your mind wonder. So a few paragraphs in I was negotiating with myself, I’ll just read one chapter today after all it is Saturday. When I came to the end of the first chapter it ended with, “spoke to him...…..” Really!? I cannot remember another chapter that ended that way. It was unfinished, to be continued if you will. Have you ever noticed sometimes when you ask God for help with something he sends you a challenge? So I took the challenge and read on thinking I bet I am going to learn something great reading this chapter. It wasn’t bad but not inspiring like I had hoped. Then I realized maybe that was the point, it wasn’t about what I was going to get out of reading on, it was about the focus to continue that mattered. I felt better, for at least once this week I did not give in to my negotiations. You can probably guess by the last statement I am disappointed and unsatisfied with how last week turned out. 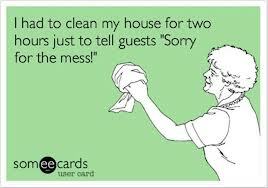 Not because my house wasn’t clean like I had hoped at the end of Friday, though it wasn’t. Quit honestly I spent so much time “planning how to get it all clean” I never got to the actual cleaning part. I am disappointed in my lack of mental strength to get things done. 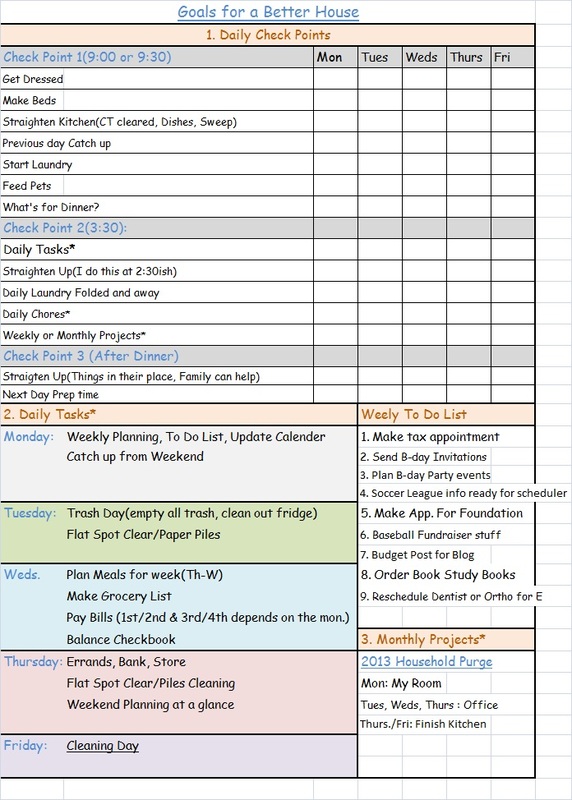 I actually justified not getting chores done because I was making a schedule to help to get them done better. What sense does that make? When I wanted to break 5 minutes in the mile in college, I didn’t come to practice and tell my coach I couldn’t workout today because I was working on a great training plan. I also did not stop halfway through because practice wasn’t going as I planned. I showed up each day and finished each workout. Sometimes I wondered if it was even worth putting my shoes on, but I did it anyway and it was worth it. Getting better at things requires practice. I tell my kids this all the time when they ask if they could just play games and not practice. Just like training for a race or a game you should not skip a workout or even worse give up in the middle of one. Some practices you trudge through and maybe even walk through the finish line. In this case never get past the morning chores for the day. It’s easier to start negotiating the worth of the day and decide it’s a loss and give up, just like I wanted to stop reading. The days you keep your focus despite the fact you may not have a sparkling clean house at the end are the best days of training. Days, weeks or what the heck months like this build your mental strength. Ask any athlete how far they can get on a good training plan alone, not very far. Do you really need mental strength to clean the house? I don’t know about you but my mind is what normally lets me off the hook in anything I do. I used to be so productive and mentally strong sometimes I wonder if that strength is gone? No, I think I am just mentally out of shape, physically too but that’s another story. With this said we need take into consideration the kid factor. Kids are kind of like the weather. 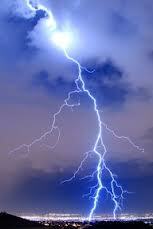 What do you do if it starts storming when you are working out, allow yourself to be hit by lightning? No you head in and adjust the workout for the day. When you become a mother the ability to have uninterrupted work time is over. Let’s face it despite the drought we are having outside it storms daily at my house. How many times have I been cruising along feeling good about my progress only to turn around and see the toys I just organized are in a big pile again? Or just when I am thinking how nice it is to have quiet while balancing the checkbook my thoughts quickly change to, oh no why is it quiet? You explore a bit and discover your two year old decided she was hungry and spilled half the bag of cereal on the carpet. Working through lunch is no longer an option. Then when I am folding the third load of laundry and am nicely asked to unscrew the lid of her chapstic, and without thinking I actually do it. I later clean it off of her, the coach, and a Rubbermaid tub of toys; those are only the spots I found. Let’s face it your routine is interrupted daily, wait hourly, no wait by the minute! Seriously when’s the last time you went to the bathroom without someone hunting you down? Right now you might be wondering which is it Samantha, stay focused and stop making excuses or don’t worry you have kids and they are your excuse? Both! There will be days you’ll get up and put your running shoes on and never make it out the door. But don’t take them off and put on your slippers. At the end of the day just like at the end of Numbers 8 the result may not be inspiring. Some days you just do the best you can. If you did you best it won’t bother you if your goals for Monday become your goals for Tuesday. Only you know what your best for that day is, and there will be days when you don’t give it all we are human. 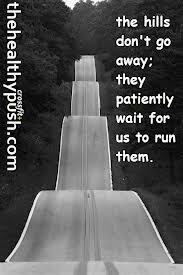 When this happens instead of trying to justify it take a moment to refocus, re-tie your shoes and keep running. You never know when you will finally break the 5 minute mile. When I finally did it was in practice. A friend of mine shared a fitting story on FB, "If you give a Mom a Muffin". I always liked reading Laura Numeroff's books to the kids, now I know why. I can relate! With that said I better put my coffee down for a minute and go see what is happening in the bathroom since the water has been running for the last two paragraphs I’ve typed.